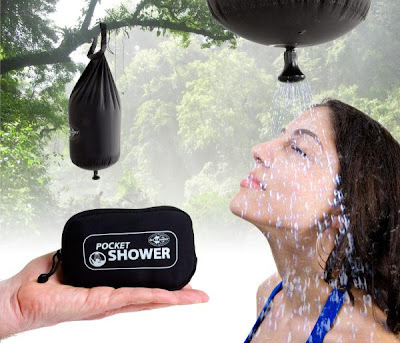 Collection of 'Awesome and Coolest Portable Showers' from all over the world for you to have a good shower outdoors. 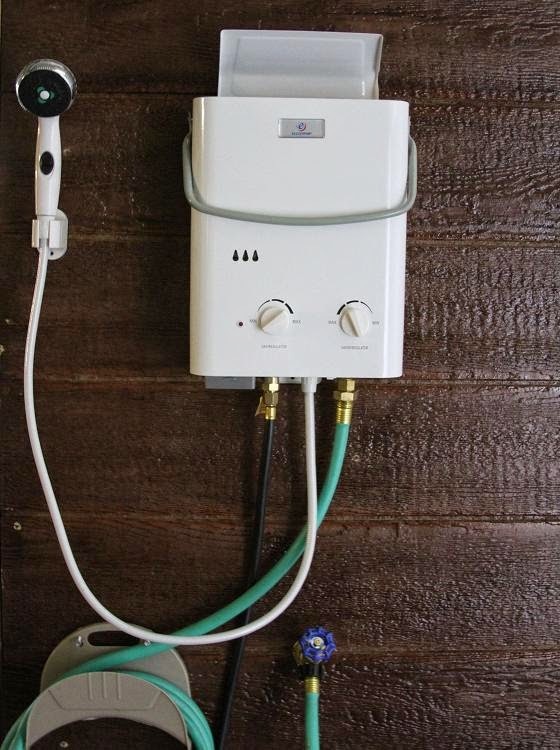 Portable Tankless Water Heater and Outdoor Shower: The Eccotemp is a compact and lightweight heater and shower that features a showerhead, hose, a garden hose adapter, and LP regulator. Simply turn on the tap and connect the heater to produce water (temperature range of 80 to 150 degrees Fahrenheit, .5 gallons per minute (GPM) flow rate and going up to 1.4 GPM) within seconds. All you need to do is supply water with minimum of 20 PSI or use a 12v Flo-jet water pump, and a propane tank to have a shower at leisure in the outdoors. 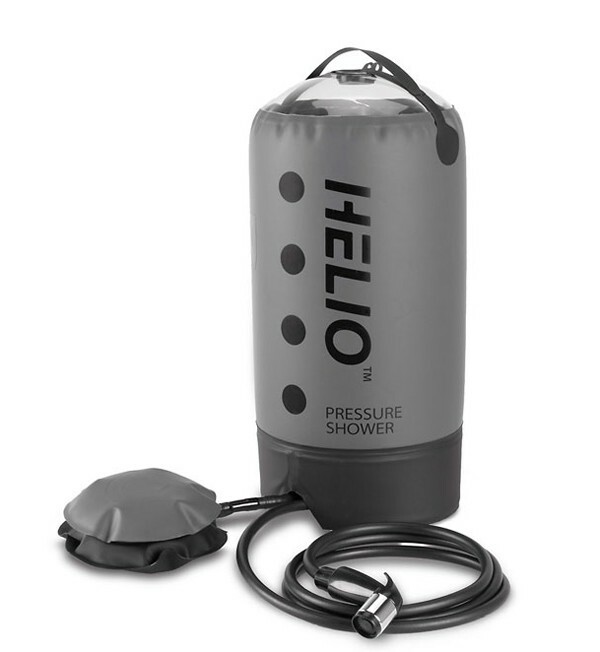 Pocket Shower: This cool tiny gizmo unfolds to show a high performance waterproof reservoir that holds ten liters of water. And the black fabric will (given a sunny day) warms the water up in no time. Portable Backyard Shower: This portable rechargeable shower holds 12 liters of water and features an electrical pump to increase the pressure of the water flow. 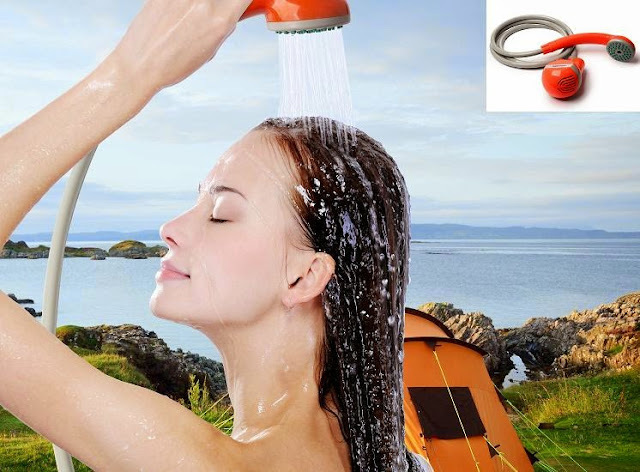 Glind Cape Yorker: This portable pressurized camping shower system has the flow and pressure from 4.3 l/min to 11 l/min and 35 psi to 50 psi. 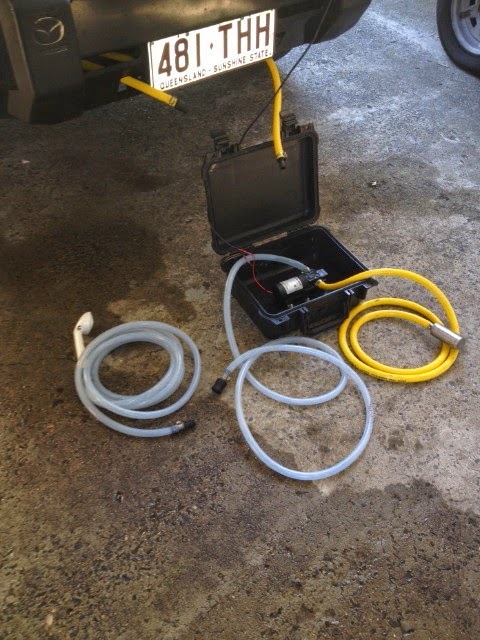 This compact unit features a super efficient and ultra reliable Flojet pressure pump housed in a rugged tough case. 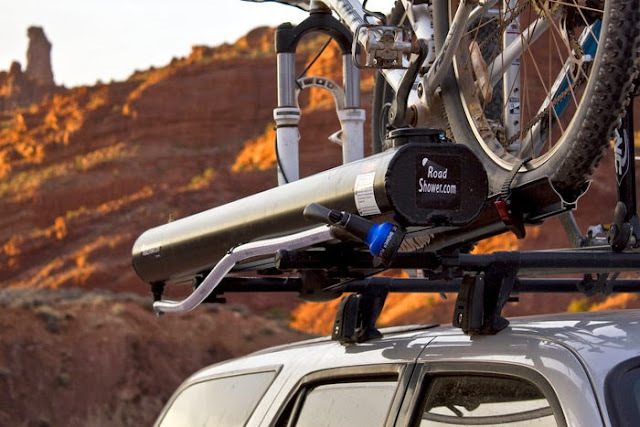 You can opt for Glind Automotive Heat Exchanger that connects to vehicle's heater line and you have a perfect shower for every one. 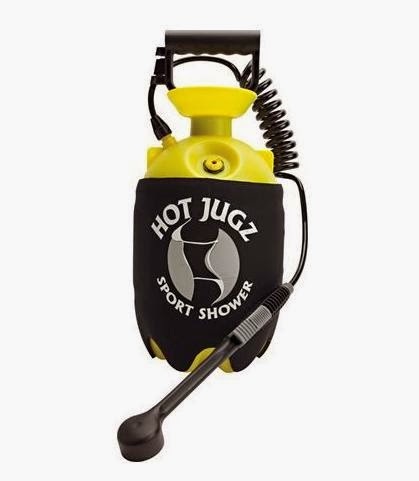 Hotjugz Portable Shower: This portable shower requires no power source; just fill it before you venture out and the thermal insulation will keep two gallons of water warm for over 7 hours and lets you take a pressurized shower for about 2 minutes. 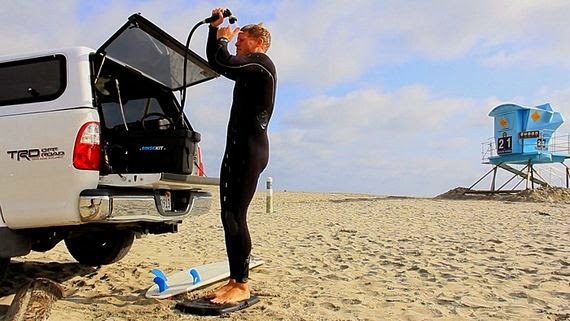 Solar Camping Shower: This solar camping shower comes with 5-gallon capacity and provides an eight-minute shower with solar-heated water. 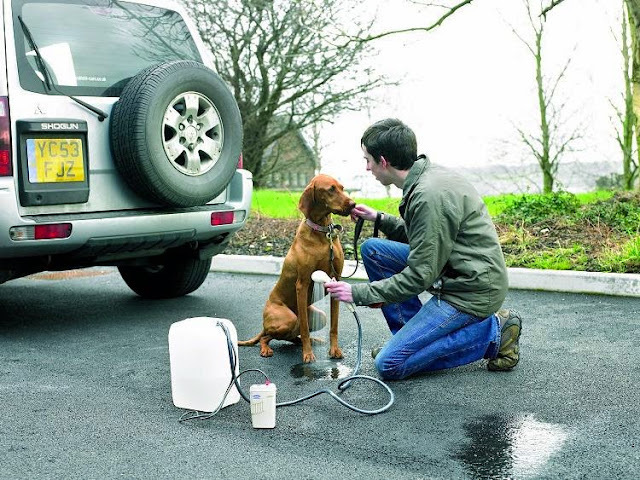 12V Portable Shower: Just plug it into car's 12V outlet and its good to go. 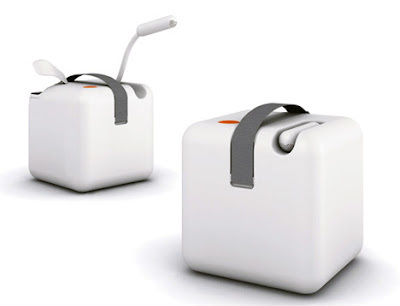 It features an electric pump, storage bag, and shower holder; just fill the container with water and the shower will pump the water at whatever temperature the water is in the container at 2 liters per minute. 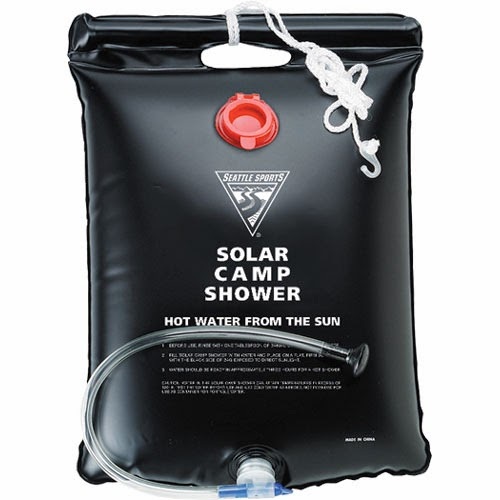 It can cope with anything up to 40 degrees C / 104 degrees F.
Texsport Camp Shower: This portable, compact, and lightweight shower weighs 2 lbs, features six-foot hose with showerhead, and three-foot source hose that connects to your water supply; it runs on four IEC R20. 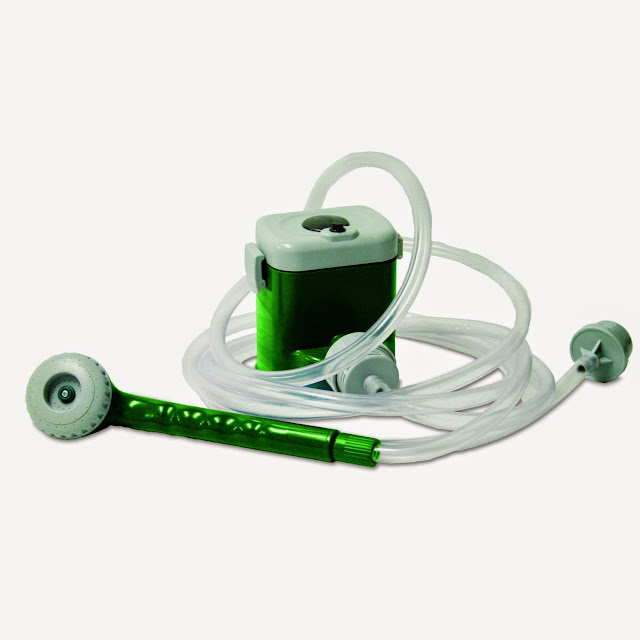 Stansport Portable Shower: This outdoor portable shower features a 7 feet of tubing for longer reach, showerhead cup, and requires four IEC R20 for powering. Portable Shower: This portable shower from Coleman comes with a tank that holds around 5 gallons of water, to get you clean. All you need to have are four IEC R20 for powering. 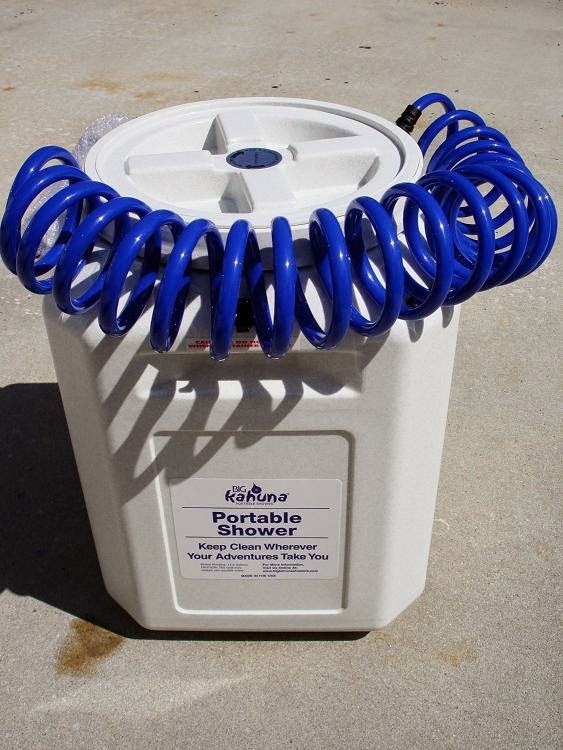 Bigkahuna Portable Shower: It features a variable pressure control showerhead, the cover uses the heat to warm the water, has a 8' coiled hose, features 13.5 gallon capacity and 12V adaptor to plug it into your car or RV.